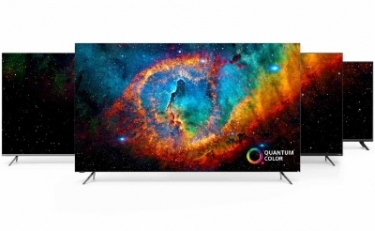 VIZIO's 2019 P-Series Quantum X and M-Series Quantum lines both feature its Active Full Array and Quantum Color technologies, while the V-Series offers budget-conscious buyers a new option. The 2019 VIZIO TV lineup includes Apple AirPlay2 and Chromecast support alongside compatibility with Siri, Google Assistant, and Alexa. Today, VIZIO announced the details of its 2019 TV lineup, which includes its P-Series Quantum X 4K HDR line, M-Series Quantum line, and the V-Series, a reimagining of the former E-Series. VIZIO says the all-new lineup offers an ideal package of expansive colors, deep blacks, and luminescent whites, all enabled through a combination of Quantum Color and Active Full Array backlight performance. VIZIO's P-Series offerings are available in 65 and 75-inch class sizes and split into two collections—the P-Series Quantum X and P-Series Quantum 4K HDR Smart TVs. 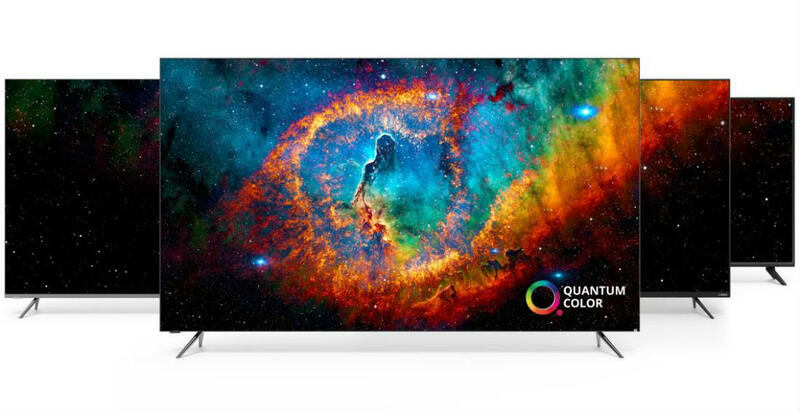 Both lines offer VIZIO's Quantum Color quantum dot technology. The P-Series Quantum X features up to 480 local dimming zones, which VIZIO says is more than double any previous P-Series model. "VIZIO has always been synonymous with value and our 2019 smart TV collection is no exception," said Bill Baxter, Chief Technology Officer, VIZIO. "We've combined an ideal blend of brightness, contrast and color to create a best-in-class picture across all price points. Layer on our intuitive, feature-rich smart TV platform, VIZIO SmartCast 3.0, and customers receive an entertainment experience that is unmatched in the marketplace." The lineup will begin rolling out nationwide in Spring 2019. The P-Series Quantum X dynamically adjusts the Active Full Array backlight to mimic on-screen content, delivering black levels that VIZIO says rival OLED. Combined, these technologies alongside the display's 2,900 nits of peak brightness utilize more than one billion colors to, "match every hue and tone with impressive cinematic intensity." In addition, Clear Action 960 and a 240Hz effective refresh rate (achieved with backlight scanning) stabilizes imagery across both lineups, reducing motion blur for a smoother, more natural picture in action scenes. The M-Series ranges from 43 to 65-inches in size and offers an Active Full Array backlight with up to 90 zones of local dimming, again nearly double that of the 2018 M-Series. The M-Series also features Dolby Vision for ultra-vivid picture quality. Additionally, UltraBright 600 enables up to 600 nits of peak brightness. Clear Action 360 works to steady on-screen imagery, reducing motion blur with image processing and a 120Hz effective refresh rate, enabling what VIZIO says is a smoother, more natural picture. Rounding out VIZIO's all-new 2019 offerings is the V-Series 4K HDR Smart TV lineup. The V-Series is targetted towards any customer seeking exceptional entry-level picture quality, Dolby Vision support, and a smart TV experience all-in-one. Ranging from 40-inches to 75-inches, the V-Series offers an Active Full Array backlight with up to 16 zones of local dimming and UltraBright 400 for up to 400 nits of entry-level peak brightness. VIZIO's entire 2019 lineup comes equipped with SmartCast 3.0, VIZIO's next-generation smart TV experience. VIZIO says SmartCast 3.0 is ideal for everyone from TV regulars to cord-cutters and smart home enthusiasts alike, and provides access to popular favorites like Netflix, Prime Video, Hulu, Vudu, iHeartRadio, and more. With support for Apple AirPlay 2 and Chromecast built-in, SmartCast 3.0 will enable users to stream, control, and share content directly from their iPhone, iPad, Mac or Android device to SmartCast TVs, all without extra hardware or products. VIZIO says SmartCast 3.0 will be the first in the marketplace to work with Siri, Google Assistant, and Alexa, allowing for seamless smart-home integration. The 2019 VIZIO smart TVs offer stylings that will complement any living room. With a minimalist four-sided bezel-less design, the flagship P-Series Quantum X features aluminum with diamond cut accents. The P-Series Quantum models also offer a modern aesthetic, framed by a three-sided, bezel-less design that is tooled from aluminum. M-Series models feature a modern design complete with aluminum finishing.